A new ‘index’ developed by Age UK and the University of Southampton has found that taking part in social activities has the most direct influence on improving a person’s wellbeing in later life. Activities such as; going to a cinema, museum or historical site; taking part in arts events; being a member of a social or sports club; or engaging in a community or voluntary group are all beneficial. The new Index of Wellbeing in Later Life examines different aspects of people’s lives in five key areas – social, personal, health, financial and environmental – analysing data from 15,000 people aged 60 and over, to measure the wellbeing of the UK’s older population. Overall it shows there is no ‘magic bullet’, rather a whole host of factors under each of the key areas play an important part in contributing to a person’s sense of wellbeing. Other factors found to have an influence include; having an open personality and being willing to try out new things; being physically active; having a good memory and thinking skills; and having a good social network and lots of warm relationships. Interestingly, the Index found that ‘creative activities’ had the most direct influence, with older people benefitting from activities such as dancing, playing a musical instrument, visiting museums, photography, singing, painting and writing. Professor of International Social Policy at the University of Southampton, Asghar Zaidi, who developed the methodology behind the Index, says “We live in an extraordinary time with increasing numbers of us in the UK living longer than ever imagined before. 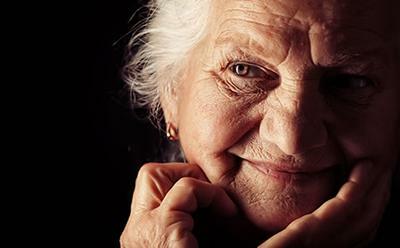 On the one hand, many can celebrate living financially secure, active, engaged and healthy lives for longer, but we also know living longer exposes many other older people to huge vulnerabilities. As the number of people aged 60 and over is expected to pass the 20 million mark by 2030, the Index provides a unique snapshot of how older people are doing now and shines a light on some of the changes that are needed to improve the quality of life for our ageing population in future. It found that those who scored best in the Index (top 20 per cent) had good thinking skills, didn’t live alone, were socially engaged, had good friendships, were physically active with good health and didn’t have serious money worries. Those who scored worse (bottom 20 per cent) were the opposite, with fewer qualifications, lived alone, had a poor social network, weren’t physically active, had long-standing illnesses and many (one in four) were on an income-related benefit. Tragically, one in eight older people in this group reported they had no friends at all. The average age for the group of people in the top 20 per cent and the bottom 20 per cent was very similar, at 70 and 71 years respectively.